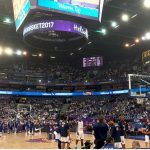 To distill the greatness of North American basketball since the inception of the NBA’s predecessors in 1946 into a single article requires broad brush strokes and a few quick impressions on a metaphorical canvas. A primer on the best NBA players of all time is a worthwhile place to start. The vast geographic region of North America, stretching from Canada to Panama has invented and reinvented the game with innovations and trend-setting moves. The lineage of stars from the outset of the NBA to the current fan favorite charts a who’s who of accomplished athletes. Elgin Baylor, Julius Erving, and Connie Hawkins, for instance, paved the way for Michael Jordan and Kobe Bryant. And LeBron James and Kevin Durant. The impressive growth of the NBA — westward expansion, increased media exposure — and the remarkable talent that elevated the league, included the infusion of all-time greats from the ABA in the 1970s. For the sake of brevity, this rundown of the greatest basketball players from North America features a top five at each position. But a few standouts whose names ought to appear on any reputable list of legends are featured to expand the scope of the discussion — the catalyst for debate — for years to come. Let’s start with the backcourt. Mr. Clutch, The Logo, Zeke From Cabin Creek are among the memorable monikers bestowed upon one of the all-time best NBA players to ever step onto the court. The pride of West Virginia, West was listed as a point guard for most of his career but did spend some time at shooting guard, too. It didn’t matter where he played, though. West made dynamic plays, big shots, and fabulous passes. He was a 14-time All-Star. He was MVP of the 1971-72 All-Star Game. In 13 of his 14 seasons, West, one of the NBA’s greatest scorers, averaged 20 or more points per game. In four campaigns, he averaged 30 or more points. West led the league in scoring in the 1969-70 season and assists two years later. His career numbers: 27.0 points, 5.8 rebounds, 6.7 assists. The gaudy stats help paint the picture of a player with numerous ways to impact a game. What’s more, West was a marvelous outsider shooter before the 3-point shot was en vogue. After retiring in 1974, West had a legendary second career as a front-office executive. He did a fabulous job. In fact in multiple championship eras — six titles in all — with the Lakers (they acquired Kobe from the Hornets on his watch). Moreover, he later engineered an impressive turnaround for the Grizzlies before becoming a consultant for the Steve Kerr-led Warriors. Restless, he began working as a consultant for the Los Angeles Clippers after Golden State claimed the 2017-18 title. A pure passer and gutsy defender, Stockton teamed up with Karl Malone to form the backbone of the Utah Jazz’s foundation for years. With John and Karl providing the nuance steps, the pick-and-roll was a work of art. Stockton, out of Gonzaga University, played his entire 19-season pro career with the Jazz. In 1,504 games before retiring in 2003, he registered 10.5 assists a game. This included an all-time best nine consecutive assist titles, starting in the 1987-88 campaign, his fourth in the NBA. That season, he had 13.8 apg, followed by 13.6, his high of 14.5, 14.3 and 13.7 over the next four. In other words, jaw-dropping numbers. At 185 cm and 77 kg, Stockton wasn’t physically imposing, but his overall toughness was indisputable. In addition, a man who was one of the NBA’s best players was quite durable. Stockton appeared in 82 games in all but three of his seasons. To some, Stockton’s game was too boring, too old school. To the Jazz, though, he represented perennial expectations of being a playoff team. He was Utah’s conductor as the Jazz reached the Finals in back-to-back years at the end of Jordan and Co’s second three-peat. The eight-time NBA assist title winner cobbled together averages of 18.4 points and 7.5 assists across his glorious 13-season career with Boston, helping the C’s capture six titles. From his third season on, Cooz, one of the most famous NBA players of his era. He rattled off a run of eight consecutive assist titles, 7.7, 7.2, 7.8, 8.9, 7.5, 7.1, 8.6 and 9.5. Indeed, consistency was a hallmark of his career. The Big O came a few percentage points shy of averaging triple-doubles in each of his first four seasons in the NBA with Cincinnati. As a rookie out of the University of Cincinnati, the sparked the Royals with 30.5 points, 10.1 rebounds, and 9.7 assists. It was his first of seven consecutive seasons with 30-plus points a game. Robertson, one of the best NBA players ever, was the textbook model for fundamentals. He did everything with well-honed polished skills. There were no glaring weaknesses in Big O’s game. No real flaws. Absolutely none. The 196-cm offensive playmaker collected 12 nods to the All-Star Game and 11 All-NBA accolades. In addition, he captained the U.S. team to gold at the 1960 Rome Olympics. He wrapped up his 14-season career with four seasons on the Milwaukee Bucks, teaming up with Kareem at the outset of his Hall of Fame career. In 1,040 regular-season games, Robertson amassed averages of 25.7 points, 7.5 rebounds, and 9.5 assists as well as 8.8 free-throw attempts per game. Foes had to focus on him from start to finish every game. What’s more, the National Association of Basketball Coaches named Big O the Player of the Century in 2007, further cementing his legend. He was the consummate winner with the unique ability to play all five positions. Magic piloted the Lakers to five championships in the 1980s. His career was cut short after his initial retirement in 1991 at age 32 when he announced he had contracted HIV. Despite that, 32-game comeback in the 1996-97 campaign didn’t cheapen Magic’s legacy. In a nutshell, perhaps Magic’s career is best summed up by what he did as an NBA rookie in the 1980 Finals against the Sixers. With Kareem sidelined due to an injury, Magic shifted to center in the starting lineup in Game and produced a still-talked-about stat line (42 points, 15 boards, seven assists, three steals) in the Lakers’ title-clinching game. For his entire career, Johnson averaged 19.5 points, 7.2 rebounds, and 11.2 assists. The 206-cm legend had his career-best assist average in 1983-84 (13.1). Magic, who would’ve been one of the best NBA players in any era, is No. 1 on the all-time list with 11.1 assists a game. One of the most famous basketball players ever and one of the tallest guards, he was a difficult defensive assignment for opposing guards. And he used his superior height and court vision to unleash the Showtime Lakers’ patented fast break. Perhaps no one ever made more spot-on, no-look passes in the history of the game, either. In 2017, the business mogul became the Lakers president of basketball operations. This was 36 years after he signed a $25-million deal for 25 years while Dr. Jerry Buss owned the team. “In life, winning and losing will both happen. What is never acceptable is quitting,” Johnson has remarked. Iverson, aka “The Answer,” posed questions for defenders and coaches — including his own during turbulent stretches of his Hall of Fame career. Never one of the bigger players in the backcourt, Iverson endured hard fouls and contact in a physical era of the NBA. He played through pain with legendary toughness. Though he famously downplayed the significance of practice — and will never be able to escape the sound bites. The No. 1 pick in the 1996 Draft out of Georgetown University (Philadelphia 76ers), stood 183 cm and 75 during his playing days. He accumulated four scoring totals as a pro. Iverson, one of the all-time best NBA players, averaged 26.7 points and 6.2 assists, seeing considerable time at both the point and off-guard positions. He wrapped up his NBA career in the 2009-10 season. Thomas helped the Detroit Pistons soar to new heights during their championship run as the Bad Boys in the late-1980s, culminating with back-to-back championship seasons under bench boss. The Indiana University alum named one of the NBA’s 50 Greatest Players in 1996, retired in 1994 after 13 seasons. He averaged 19.2 points and 9.3 assists and was a 12-time All-Star. He later coached the Pacers and Knicks. Curry, aka Baby Faced Assassin and Chef Curry, rewrote the expectations of what a perimeter marksman is expected to do, what he’s capable of accomplishing. He stretched the 3-point line further back on a regular basis than anyone before him. With the Golden State Warriors since 2009, first under Mark Jackson and then Steve Kerr, Curry grew into the league’s ultimate outside weapon. Curry, a member of three straight NBA Finals teams (two titles) entering the 2017-18 playoffs, attempted a league-record 886 3s in 2015-16 and made a record 402. Curry’s long, laborious shooting workouts are the stuff of legend. Like Pistol Pete’s dribbling drills, Steph’s long-range, pregame shooting workouts have become almost as famous as his in-game antics. He is dedicated to the point of true obsession. Above all, a thirst for greatness is at stake for Curry, who turned 30 in March 2018. “I want to practice to the point where it’s almost uncomfortable how fast you shoot, so that in the game things kind of slow down,” Curry has been quoted as saying. But the son of Del Curry, himself a noted sharpshooter in the NBA, is not satisfied to rest on his laurels. “Play like you’re in first. Train like you’re in second,” he has said. What else defines the global fan favorite, who attended Davidson State instead of famous college hoop powerhouses like Duke or North Carolina? “Being a superstar means you’ve reached your potential, and I don’t think I’ve reached my potential as a basketball player and as a leader yet,” Curry commented, according to published records. Clyde played an instrumental role in leading the Portland Trail Blazers to a pair of NBA Finals (but they lost in 1990 to Pistons and in 1992 to the Bulls). The 201-cm star, affectionately known as “The Glide” during his playing days, witnessed his No. 22 jersey retired by both the Blazers and Rockets, for whom he played his final three-and-a-half seasons before retiring in 1998. One of the best NBA players, Drexler demonstrated his defensive ability in a Nov. 1, 1996, game against the Sacramento Kings. What happened? He made eight steals in the second half. Before his success as a pro, Drexler competed at the then-NCAA powerhouse University of Houston, where his famous Phi Slamma Jamma team in the early 1980s, also featured future NBA legend Hakeem Olajuwon (then known as Akeem). The Cougars played in the NCAA Final Four in straight seasons, 1982-84. The legendary showman produced jaw-dropping numbers playing for his father, LSU coach Press Maravich, leading the NCAA in scoring in his three seasons on the varsity squad, 43.8, 44.2 and 44.5 before joining the Atlanta Hawks as a rookie in 1970. He remains the all-time leading scorer in NCAA history, and one of the greatest NBA players. Injuries derailed Pistol Pete’s pro career. One of the best NBA players of all times, he retired in 1980 with the Celtics, but not before compiling 24.5 ppg and 5.4 apg. 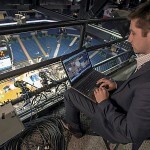 Nevertheless, what-ifs surround Maravich’s legacy? Such as: What if he had played for the ideal coach? Or what if he had been on a winning club for the entirety of his career? Or what if he stayed healthy? Maravich died in January 1988 at age 40 after suffering a heart attack while playing pickup basketball in Pasadena, California. His autopsy showed he was born without a left coronary artery. As a result, his right coronary artery was much larger than normal. To this day, basketball history enthusiasts are obsessed with Pistol Pete’s career. 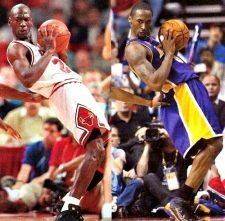 Bryant idolized, mimicked and studied Jordan’s moves and the way he carried himself on the court. This was true both from a physical and mental standpoint. It was an obsession that paid off. In the aftermath of Jordan’s retirement, Kobe, who jumped from high school to the pros in 1996, eventually became the closest things to MJ. The Lakers rolled to five titles in the Kobe era, first winning three straight with Shaq manning the middle (2000-02) and two more during the Pau Gasol era (2009 and 2010), all with Phil Jackson on the sidelined. By any measurement, there’s never been a player with greater self-confidence. And that certainly helped make Bryant one of the NBA’s greatest scorers. Black Mamba, who speaks Italian and Spanish, was the first player in NBA history with both 30,000 career points and 6,000 assists. Kobe, one of the best NBA players, grew up in Italy, where his father Joe “Jellybean” Bryant enjoyed success after his NBA playing days. His career accomplishments include 18 All-Star appearances, 15 All-NBA selections, 12 All-NBA Defensive Team picks and a 25.0 ppg average. Interestingly enough, his Nos. 8 and 24 were retired by the Lakers. That’s another unique aspect of the Bryant biography. He broke into the game at No. 8 before switching numbers years later. Last but not least, Kobe Bryant also won an Academy Award (Oscar) for his animated short film, “Dear Basketball.” The animated film is based off a poem Bryant wrote in 2015 when he announced his retirement from the sport. Is there anyone you’d want to lead the way on offense in a must-win game in the playoffs? Jordan’s Bulls went 6-0 in the NBA Finals, securing a pair of three-peats. ’Nuff said. A cultural icon who made hundreds of millions of dollars as a Nike pitchman with his own Jordan brand. He was and remains a global phenomenon. You can’t deny he was one of the best NBA players. More than any other player, he was also pivotal in the basketball globalization as it became a multi-billion-dollar industry. Jordan played a role in the best basketball movie of all times which was also ranked the third-best basketball song of all times. He’s arguably the most famous celebrity in the world over the past 30 years. Who else? Maybe the Pope, Pele and Muhammad Ali. Jordan averaged 30.1 points, 6.2 rebounds, and 5.3 assists during his career when he was a 14-time NBA All-Star. The Brooklyn-born high flyer thrilled the masses as he soared through the air for countless dunks. He did it with his tongue wagging. The 198-cm former University of North Carolina standout provided a tease of things to come when he famously nailed the game-winning shot to lift the Tar Heels to the 1982 NCAA championship. Even more, he won a remarkable 10 NBA scoring titles. He was also a ferocious defender who made steals and blocks with equal brilliance. Jordan was a nine-time NBA All-Defensive First Team. LeBron James idolized His Airness and followed in his footsteps by wearing No. 23 as a pro. What’s more, Barack Obama presented the Presidential Medal of Freedom to Jordan at the White House in 2016. Jordan’s two-year comeback with the Washington Wizards (2001-03) showcased flashes of brilliance, but he wasn’t the same player. No one was. MJ possessed a unique set of skills and a burning rage when his teammates didn’t match his off-the-chart intensity. Even in practice. These days, Jordan owns the Charlotte Hornets. Notable mention – Ray Allen, Bill Sharman, Earl “The Pearl” Monroe. The smooth-shooting Allen, the pride of the UConn Huskies, bounced around the NBA with stints with the Milwaukee Bucks, Seattle SuperSonics, Boston Celtics and Miami Heat. With the latter two clubs, Allen played a role in guiding the teams to titles in 2008 and 2013, respectively. When he retired in 2014, he was the NBA career leader in 3-pointers made (2,973), a record he still held in May 2018 at the time of this article’s publication. Allen, one of the best NBA perimeter scorers, shot .400 for his career from 3-point range and converted .894 percent from the free-throw line. His shot had a beautiful trajectory, an arc not unlike a rainbow. Sharman, an oft-forgotten legend alongside Cousy, brought a dazzling jump-shooting ability to the Celtics of the 1950s-early ’60s. 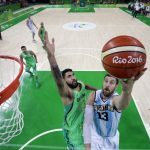 “Bullseye Bill” was “one of the first to recognize the importance of muscle memory to shooting accuracy,” celticsblog.com reported ia 2014 retrospective on Sharman. Monroe, one of the NBA’s best players, shined as an offensive force for the Baltimore Bullets and New York Knicks in the 1960s and ’70s. At the University of Miami and in the ABA and NBA, Barry exhibited the skills of a pure scorer. He possessed the mechanics and mindset of a sniper looking for his shot at any time. And boy, could he shoot. He led the NCAA in scoring as a college senior (37.4 ppg in 1964-65), and later snatched ABA and NBA scoring titles by averaging 34.0 and 35.6 in the pro ranks. No other player holds that trifecta on his resume. In a pro career that spanned from 1965-80, Barry, one of the best NBA players, helped the Oakland Oaks win an ABA championship in 1969. Barry then brought glory to the Golden State Warriors in 1975, when he starred for the NBA champs. As a result, it was sweet redemption for Barry, who averaged 40.8 ppg in the Finals in 1967, when the Sixers topped the Warriors. Dr. J’s aerial ballet at New York City’s street basketball in Rucker Park was only one spectacular part of his explosive game. The ABA and NBA star soared to new heights by following the feats of past stars but then took it to another entirely new level. What made him a dunking machine? Well, a few things certainly helped. His huge hands, impeccable timing on his leaps and a flair for theatrics, all of which made him a hugely popular attraction. Erving, one of best NBA players, won two ABA crowns with the New York Nets (1974, 1976) and ended years of disappointment with a title with the Philadelphia 76ers in 1983. He retired as a Sixer in 1987 after a season-long farewell tour. The Doctor, a Hall of Famer, holds career marks of 24.2 points, 8.5 rebounds and 4.2 assists, and a much-recognized reputation as an influential figure in the ABA style of ball being brought over to the NBA in 1976, when the latter circuit absorbed four ABA franchises, including the Nets. Larry Legend’s rivalry with Magic was one of the defining traits of 1980s pro ball. It really took off with the closing NCAA Championship games of the previous decade, a matchup of Johnson’s Michigan State Spartans and Bird’s Indiana State Sycamores. Magic and Co. took that title. The folksy character from French Lick, Indiana, did it all for the Celtics, helping return the franchise to glory. There were times when no one was cockier than the smooth-shooting Bird. Indeed, one of the all-time best NBA players by any measurement, Bird had a flair for the game and jaw-dropping stats, too. A forerunner to the above-the-rim legends that followed — including Michael Jordan, Dr. J, and Kobe Bryant — Baylor brought a new dimension to the NBA in the late 1950s after a storied college career at Seattle University. The Lakers move to Los Angeles increased the visibility of the franchise and the NBA as a whole. Baylor was an improvisational artist with spins, fakes, back-to-the-basket moves and in-the-air twists and sudden changes. No move was expected from Baylor on back-to-back plays. He scored points in abundance. Baylor also rebounded with the best of them (13.5 a contest). He was a creative passer who got all of his teammates involved. The Washington, D.C. native completed his NBA career in 1971 a few weeks into the season, a famous decision that preceded the Lakers’ NBA record 33-game win streak. Baylor, one of the best NBA players, torched the Knicks for 71 points in a November 1960 game. Moreover, he still holds the NBA Finals record for points (61), achieved against Boston in April 1962. Even today, Elg’s 27.4 ppg represents the fourth-highest NBA scoring average of all time. He was a 10-time All-NBA First Team selection. The general public has forgotten how ahead of his time Baylor was. For instance, the conservative Celtics played Red Auerbach’s old school style, But Baylor was at the forefront of an innovative style. Call it jazz on the hardwood. Still, at the height of his powers, James entered the 2018 postseason having guided his Heat and Cavaliers teams to seventh consecutive NBA Finals appearances. In this era, it’s a testament to LeBron’s ability to impose his will on a game, any game. Physical strength and versatility and mental focus and fierce determination are among the 203-cm superstar’s keys to success. He does it all — the powerful dunks, the victory-preserving blocks, the seeing-eye passes. LeBron, the No. 1 pick in the 2003 draft, has lived up to the hype. 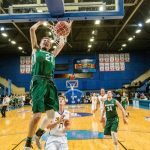 Since his well-chronicled days at St. Vincent-St. Mary High School in Akron, Ohio, he has been a can’t-miss figure on the court. To wit: Rookie of the Year, 14 All-Star appearances to date, 11 as a starter. Four NBA MVP awards and three more in the NBA Finals. Eleven All-NBA First Team selections and a five-time All-NBA Defensive First Team member. In 2005, then-Denver Nuggets coach George Karl expressed the sentiments of many when he spoke about LeBron, one of the best NBA players. “It’s weird talking about a 20-year-old kid being a great player, but he is a great player … He’s the exception to almost every rule,” Karl was quoted as saying by Sports Illustrated. And how. He’s averaged at least 20.9 points (his rookie total) every year since entering the league. A perennial nemesis for the Toronto Raptors (see the 2018 Eastern Conference semifinals: four-game sweep) and the rest of the East. Perhaps his crowning achievement? King James delivered Cleveland its first championship since the Browns’ football dynasty of the 1950s with a title-for-the-ages in 2016. This, of course, after his memorable run in Miami. There he teamed up with Dwyane Wade to lead the Heat to consecutive titles in 2012 and 2013. Career averages of 27-plus points and more than seven rebounds and assists illustrate his amazing ability to seize control every game. In 2017-18, James appeared in 82 regular-season games for the first time and led the league in minutes (36.9). He’s among the top 10 in career scoring with 31,000-plus points now (No. 7 overall) and climbing. Indeed, he’s also a powerful voice in the media. When LeBron criticizes U.S. President Donald Trump, his words reverberate around the world. Or when he stands for a social cause or addresses a problem such as gun violence. Like LeBron, Durant is a king of versatility, a matchup nightmare for anyone. He stretches the defense and scores from anywhere. One of the best NBA players, Durant moved to Golden State after the 2016-17 season. He elevated the super-team status of the Warriors and struck a thunderous blow to Oklahoma City’s title aspirations. Pippen, serving ably as Robin to Jordan’s Batman, provided vital production for the Bulls dynasty of the 1990s. The acquisition, er, swindle of No. 5 draft selection Pippen, out of the obscure University of Central Arkansas, from Seattle (for big Olden Polynice and future picks) became nearly as famous as Pippen’s splendid defense, able playmaking, and all-around ability. By all accounts, the Bulls wouldn’t have won six titles without Pippen’s irreplaceable contributions. King’s polished, powerful low-post and mid-range game — not fueled by 3-point shooting — shined in the mid-1980s just before at a time when Jordan became the scoring icon. He led the NBA in scoring in 1984-85 with 32.8 ppg. Later, King, one of the best NBA players, reinvented himself and revived his career after a major knee injury sidelined him for almost two full seasons. A testament to his blue-collar work ethic and immense pride. But throughout King’s career, there were some magnificent moments. For example, dropping 60 on Christmas Day in 1984, averaging an association-best 34.8 points per game in the 1984 playoffs, including a league-record 213 points for a five-game series against the Detroit Pistons, when the Knicks ousted the Detroit Pistons (and King strung together four-straight 40-point efforts). The previous five-game series scoring record of 197 points was set by Baylor of the Lakers in ’61. What’s more, King, one of the best NBA players, notched consecutive 50-point games on Jan. 31 and Feb. 1, 1984, against the Spurs and Mavericks. The Hawk, who passed away in 2017, starred in the defunct ABL (with the Pittsburgh Rens; MVP in 1961-62), and delighted with the Harlem Globetrotters. He then thrived in the ABA and arrived as a late-comer to the NBA, but proved his greatness in all three leagues. One of the aerial originators of what we now recognize as the modern game, Hawkins had a sensational leaping ability and a knack for scoring with his body floating through the air. Hawkins was linked to a 1961 college basketball point-shaving scandal during his freshman season at Iowa (frosh couldn’t play on the varsity team at that time due to NCAA regulations, which couldn’t have given him a chance to attempt to fix a game), but never charged with anything. But he still became, in essence, blackballed by the NBA and the ABA. And he later sued the NBA and a settlement of about $1.3 million was awarded. David Wolf’s “Foul! The Connie Hawkins Story,” published in 1972, remains a classic among sports biographies. He was the 1967-68 ABA MVP. And his career-high averages of 30.2 points and 11.4 rebounds came in his second season, 1968-69, with the Minnesota Pipers of the ABA. When he jumped to the NBA, he saw time with the Suns, Lakers, and Hawks. He retired at age 33, with injuries taking their toll on the native New Yorker. In a nutshell, The Hawk, one of the best NBA players, could do it all. Exhibit A: A playoff game in the 1969-70 season, his first with Phoenix, he had 44 points, 20 rebounds, eight assists, five blocks and five steals. Yet perhaps the largest percentage of his greatest highlights were delivered on the NYC courts, where he brandished his reputation as a playground legend. Undersized at 198-cm, Barkley regularly outrebounded bigger players throughout his Hall of Fame career (1984-2000) with the Sixers, Phoenix Suns, and Rockets. Barkley was the 1990-91 All-Star Game MVP while with Philly. He was the 1992-93 regular-season MVP while enjoying a tour-de-force performance with the Suns that fell short of the team’s title aspirations against Jordan’s Bulls. He was a premier low-post scorer and second-chance creator, fighting for rebounds and opportunities. Recognized widely for his scoring ability (22.1 ppg career average) and rebounding prowess (11.7), The Round Mound of Rebound was also a gifted passer. He distributed 4-plus assists per game in nine of his 16 seasons. Always a colorful character, Barkley, one of the best NBA players, even claimed he was misquoted in his own autobiography. Nevertheless, some of his basketball quotes are legendary. “Charles Barkley said he won’t fight the release of his autobiography, in which he trashes 76ers owner Harold Katz and claims his grandmother can score more points in a game than Manute Bol, despite his complaints his co-writer misquoted him,” The Associated Press reported in 1991. From preps to the pros, Garnett created instant attention in his career. Along the way, he brought attention to the evolving image of the modern NBA big man, a lithe 2-meter competitor with the skill set to play on the perimeter or in the paint. The 211-cm Garnett’s began his career with the Minnesota Timberwolves in 1995 and finished his career there in 2016. His departure to the Celtics in 2007 signaled a changing of the guard — and the team psyche — in Boston. Garnett’s toughness was a staple of the team’s championship that season, a drag-it-out playoff run that featured 26 Celtics games. They did it the hard way. One of the best NBA players, Garnett averaged 20.4 points and 10.5 rebounds. It was the numerical template of a bonafide frontcourt star. Indeed, 20 and 10 were always expected from Garnett. Just like Malone. For his career, KG averaged 17.8 points, 10.0 boards, and 3.7 assists, with time as the lone real star in Minneapolis in lean years after the departure of Latrell Sprewell, Sam Cassell, and others. A 15-time All-Star, and one of the greatest players ever from North America, The Kid took home 2003-04 MVP honors and four rebounding titles during his great career. Kevin Garnett retired in 2016. The Mailman delivered season after season for the Utah Jazz. From 1985 to 2003, Malone was the frontcourt foundation for Utah. He earned 14 All-Star selections and collected two MVP titles during his impressive run with the Jazz, which was succeeded by one final season with the Lakers. A tough, physical force on the court, the sculpted, muscular, 206-cm macho forward exuded confidence and a competitive fire. He scored a career-best 31.0 ppg in the 1989-90 campaign. The Louisiana Tech alum, one of the best NBA players, authored averages of 25.0 points, 10.1 rebounds and 3.6 assists per game. Malone, by the way, puts a humorous twist on his fame on social media. His Twitter handle? TheDeliverer_32. Duncan went on to lead the Spurs to six NBA Finals appearances and titles in five of them (1999, 2003, 2005, 2005 and 2014). Upon his retirement in 2016, more than a few voices proclaimed “The Big Fundamental” is the greatest power forward in NBA history. He never sought the headlines or the media attention, though. He just did his job with remarkable consistency. Case in point: He was chosen as an All-NBA (first or second team) player and All-NBA Team defender (likewise) in 13 consecutive seasons. A 15-time All-Star, Duncan averaged 19.0 points, 10.8 rebounds, 3.0 assists and 2.2 blocks in his storied career, retiring in 2016. Pettit, an anchor of the Milwaukee/St. Louis Hawks (1954-65), helped set the standard for frontcourt players in the NBA’s infancy. He made the All-Star team in each of his 11 seasons, nabbing game MVP honors in four of them. The No. 2 pick out of LSU in 1954, Pettit, one of the best NBA players, played a season in Milwaukee before the team moved to St. Louis. He totaled 26.4 points and 16.2 rebounds in his career. In December 2017, the hoop legend turned 85. Perhaps no one not named Russell exerted more energy in the rebounding department than Moses. In the ABA and the NBA, he was a relentless presence, chasing after rebounds and setting the tone for his teams in the low post. The late Hall of Famer is an overlooked superstar when the topic of great centers is brought up. He was, however, named one of the NBA’s 50 Greatest Players when the league celebrated its half-century anniversary. Combining his ABA years (Utah Stars and Spirits of St. Louis) with his nomadic NBA existence (Buffalo, Houston, Philadelphia, Washington, Atlanta, Milwaukee, San Antonio) until retirement in 1995, Malone ranks No. 4 on the all-time total rebounds chart. 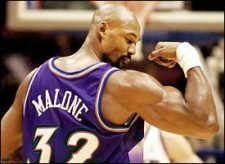 One of the best NBA players, Malone was a 12-time NBA All-Star and the rare league MVP for two teams (Rockets and Sixers). The Chairman of the Boards authored career averages of 20.6 points and 12.2 rebounds, with this rebounding average shrinking over the last several seasons. He had a career-high 17.6 rebounds for the 1978-79 Rockets and averaged 31.1 points for Houston two seasons later. MVP of the 1983 Finals, Malone brought glory to Philly in the midst of the classic Magic-Bird era. By far, he is the all-time NBA/ABA leader in offensive rebounds with 7,382 (charted since 1973-74 for the NBA). The runner-up: Artis Gilmore with 4,816. In 1974, he launched his pro career after his much-publicized high school senior season (he put up unreal numbers: 36 points, 26 rebounds and 12 blocks per a game), skipping college. But he was recruited from coast to coast by all the big schools and more than 200 in total. ” As the Malone recruitment legend goes, the family bought a guard dog to ward off pesky visitors,” NBA.com reported. Moses Malone passed away at age 60 in 2015. The Big Aristotle, a metaphysical force in the low post, was impressively agile for a player as large as he. He stood 216 cm with fluctuating weight throughout his career from 1992-2011, perhaps generally listed at 147 kg. Shaq went No. 1 in the 1992 draft to the Orlando Magic, who advanced to the NBA Finals in ’95 and got swept by the Rockets. A larger-than-life jokester, rapper, sheriff and center, O’Neal teamed up with Kobe for three straight titles, and he was named Finals MVP in 2000, 2001 and 2002. The feuding superstars eventually went their separate ways, with Shaq moving on to the Miami Heat. He helped bring a title to South Beach in 2006, with additional later stints with Cleveland, Phoenix, and Boston. What most sticks out in the mind is Shaq, one of the best NBA players, barreling his way through the paint for a dunk. He was fouled repeatedly — the hack-a-Shaq strategy often paid off for foes — and struggled mightily at the line. Like Wilt Chamberlain, Shaq was a lousy foul shooter (.527 percent for his career). Shaq averaged 23.7 points, 10.9 rebounds and 2.3 assists in his dynamic career. Affectionately known as “Cap,” Abdul-Jabbar delivered the steady force of fundamental excellence. He was an understated aspect of the Lakers’ sustained excellence. They claimed NBA crowns in 1980, 1982, 1985, 1987 and 1988 with Abdul-Jabbar patrolling the pivot. The 218-cm icon with goggles and the patented sky hook retired in 1989 as the top scorer in league history (38,387; it’s still No. 1). He appeared in the most games (1,560). He remains atop the chart in wins (1,074). The Bucks took Kareem, one of the NBA’s best players, with the No. 1 pick in the 1969 draft. After his legendary career at UCLA, he continued to grow as a player, and the Bucks won the 1970-71 title. He shifted to L.A. in 1975, and a dynasty was built around him. It’s rare for a player to be commonly called by his first name by the masses. But Kareem holds that distinction. LeBron James is another example, a guy often just called LeBron. Magic Johnson, too. Same with Shaq. Kobe, too. Abdul-Jabbar even has his own statue at the Staples Center. A man with many eclectic tastes and intellectual pursuits. An actor and Bruce Lee’s pal plus a memorable role as a pilot in the comedy “Airplane.” An author and commentator on social and political matters these days. Abdul-Jabbar, who holds the mark as a 19-time NBA All-Star, has famously criticized President Donald Trump on CNN and other media outlets. He recorded averages of 24.6 points, 11.2 rebounds and 2.5 blocks in the NBA. Born Ferdinand Lewis Alcindor Jr., in 1947 in New York, he changed his name in the early 1970s after converting to Muslim. The winningest team athlete in major North American pro sports, Russell experienced a run of 11 championships, including eight in a row, during his 13 pro seasons. That is indeed an unbreakable NBA record. 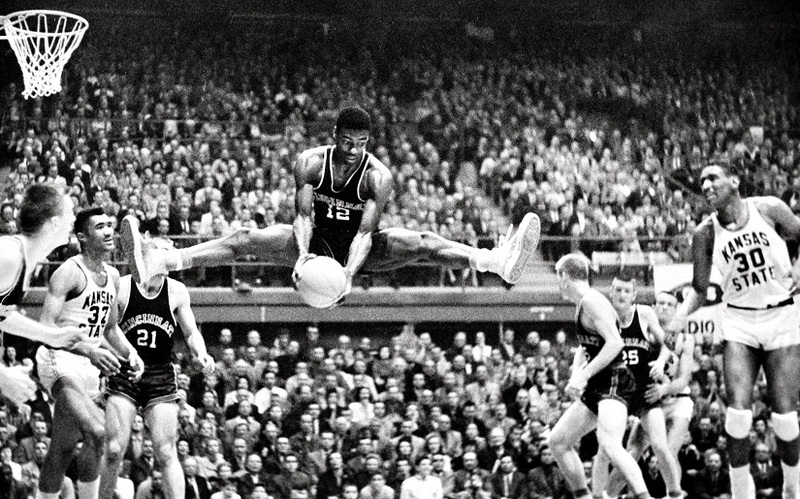 Bill Russell retired in 1969. One of the best NBA players of all times, Russell had a 10-0 record in Game 7s with the Celtics. Pause for reflection. He was also 1-0 in Game 5s. The University of San Francisco product worked as a player-coach in his final three seasons, winning two titles in that span. The 208-cm Russell had noteworthy duels with Chamberlain throughout his career. The Celtics had better all-around teams, and their defensive anchor thrived. Russell, a five-time NBA MVP, averaged a modest 15.1 ppg, but he grabbed 22.5 rebounds per game and blocked shots with authority before they became an official shot. His defensive rebounds and blocks created ample opportunities to launch the Celtics fast break. Without a doubt, he recognized the mind was the most significant aspect of the game. The first, and only, NBA player to score 100 points in a game. Wilt averaged a never-to-be-broken NBA record of 50.4 ppg in the 1961-62 season. In addition, he became the lone center in the annals of the NBA to finish No. 1 in assists (8.6) in 1967-68. The 216-cm giant, known as the Big Dipper, amassed seven scoring titles and 11 rebounding crowns. A four-time MVP and 13-time All-Star (matching his jersey number). Wilt played for the Philadelphia and San Francisco Warriors, the Philadelphia 76ers and the Lakers. He retired in 1973. He scored 30.1 ppg, with averages of 22.9 rebounds and 4.4 assists in his career. If nothing else, Wilt’s stamina was a testament to his athletic greatness. He still has eight of the top 12, including first, second, third, fourth and fifth, all-time seasons for minutes played in NBA history. He averaged 48.5 minutes a game in 1961-62. Wilt recognized that people like rooting for the underdog, not the giant behemoth. But he was a great all-around athlete — high jumper, for example. And as he said, “Everybody pulls for David, nobody roots for Goliath. A larger-than-life figure — he once claimed to have slept with 20,000 women — Chamberlain died in 1999. Ewing starred at Georgetown University and helped carry the Hoyas past Houston to the 1984 NCAA title. He had moved to Massachusetts at age 12 with his family. Drafted No. 1 by the Knicks in 1985, Ewing suited up for New York until 2000. He retired in 2002, averaging 21.0 points, 9.8 rebounds, and 2.4 blocks. After years as an NBA assistant coach, Ewing, one of the best NBA players, rejoined Georgetown in 2017 as the school’s new head coach. Mikan, the first superstar big man in pro hoop history, set a model for players to emulate. In the 1940s and ’50s, Mikan was the first genuine superstar of the pro game. Mikan, a 208-cm alumni of DePaul University in Chicago, starred for the National Basketball League’s Chicago American Gears, winning a title in the 1946-47 season as a rookie. He moved to the Minneapolis Lakers for the next season and they became the dominant team, capturing six more titles in both the Basketball Association of America (like the NBL, a predecessor of the NBA) and the NBA. The merger took place in 49. Mikan, who donned No. 99, was known as “Mr. Basketball.” He was the first pro to score 10,000 career points. He retired as the leading scorer in NBA history in 1956. One of the all-time best NBA players, big George logged 23.1 points, 13.4 rebounds and 2.8 assists over his career. He controlled the lane with great size and muscular power. And changes in the game were directly linked to Mikan, who died in 2005. “The Mikan Rule” expanded the lane from 6 to 12 feet. He later served as the first ABA commissioner. Another change: The NBA and NCAA outlawed goaltending. Mikan had a hand in that. The NBA voted Willis Reed among its 50 greatest players, and this Grambling State product brought toughness and true grit to the New York Knicks lineup of the late 1960s and early ’70s. He competed in three championship rounds for New York, helping the Knicks claim titles in 1970 and ’73. Both times, he was the Finals MVP. 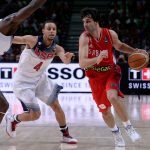 Ten players have garnered Finals MVP honors multiple times, putting Reed in elite company: Jordan, Bird, Johnson, James, Bryant, O’Neal, Duncan, Olajuwon and Abdul-Jabbar. It’s a reminder of his greatness, rising to the occasion in marquee moments. Reed posted impressive numbers in the pros (18.7 ppg, 12.9 rpg), earned All-Star MVP honors in ’70. That year, he made the sixth of seven straight All-Star appearances. In the most famous game of Reed’s Hall of Fame career, he hobbled onto the court for the epic Game 7 against the Lakers at Madison Square Garden in 1970 as a surprise starter. He had received painkiller shots beforehand. Bothered by a leg injury (muscle tear in his thigh; he missed Game 6), he could barely walk at that time. But he found a way to cope with the pain, scored New York’s first two baskets — a pair of jumpers — and inspired them to a decisive victory, 113-99, over Wilt Chamberlain and the Lakers. He played 27 minutes in total. “I didn’t want to have to look at myself in the mirror 20 years later and say I wished I had tried to play,” Reed, the team captain, said in a retrospective piece on NBA.com. The article noted that Reed’s defense on Wilt limited him to 2-for-9 shooting when he guarded him. Reed went on to coach the Knicks, Nets, and Creighton University.